Rick Gates Testifies Manafort Pushed For His Banker To Be Trump's Army Secretary After Getting Falsified Loan - Joe.My.God. 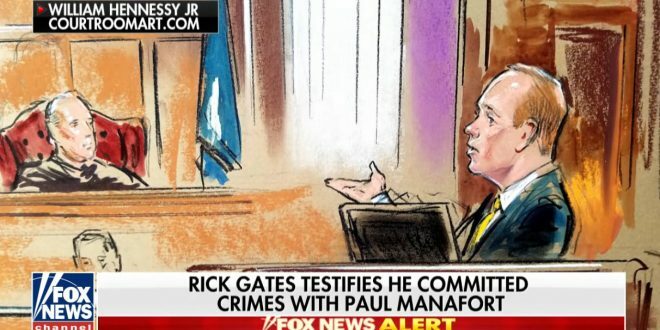 Paul Manafort recommended a banker who allegedly loaned him money under false pretenses be nominated as President Donald Trump’s Army secretary, Rick Gates testified Tuesday. Gates, who was working on Trump’s transition team, testified that Manafort had suggested Stephen Calk as a candidate for Army secretary two weeks after Trump was elected. Manafort was Trump’s campaign chairman in summer 2016 but resigned before the election. Gates, Manafort’s longtime business partner and Trump’s deputy campaign chairman, was working on the transition team and the inauguration.